We have been the owners of Inchardview since 2008. We take bookings from Saturday->Saturday, see our prices and availability page. For any questions please call Ellen (days/evenings/weekends) 07788441977 or 0208 399 6030, or e-mail to inchardview@yahoo.com . 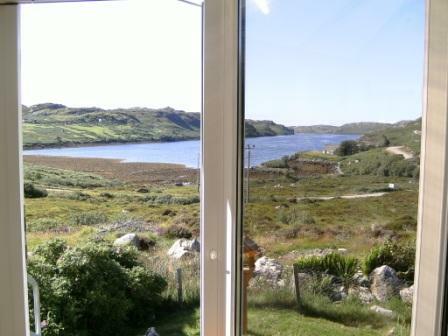 Inchardview is a well furnished two bedroom holiday home in a quiet location overlooking Loch Inchard. 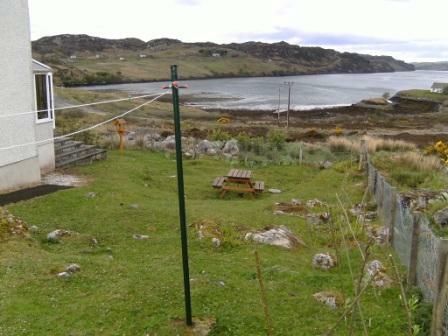 It is a semi-detached house on a hillside east of Rhiconich, on the road to Durness, and is a short walk from Rhiconich Hotel. 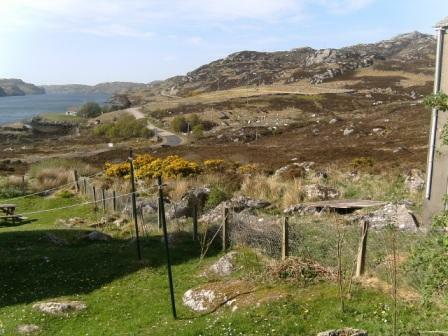 Downstairs there is a spacious kitchen, sitting room with open fire, conservatory and dining area with views across Loch Inchard. 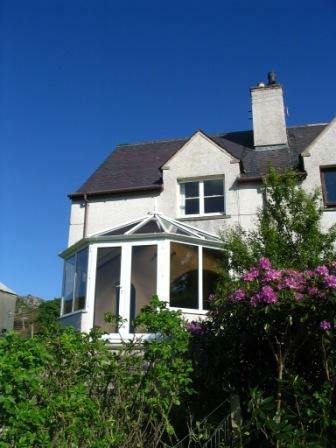 Upstairs there is a family bathroom and two bedrooms: one double bedroom with view towards the loch, and one twin bedroom with views towards the hills. Facilities include: free WiFi and Freeview Satellite TV. fuly equipped kitchen. The cottage can be let for breaks of three nights or more. Please see our prices and availability section for details. Because of fixed overhead costs for each arrival and departure, short break nightly costs will be higher than for full week bookings.